- Only students and alumni from the list participating schools may attend. List of 2019 participating institutions is listed below. The list of 2020 participating institutions will be updated starting December 2019. Bring your school ID or a driver's license and a copy of your resume with your GACE member school listed to get in the doors! We will keep the copy of your resume at registration, so please make sure to bring several copies of your resume for employers! Pre-registration is available for students and alumni job seekers, but is not required to attend. Pre-registered attendees will receive event updates and reminders prior to the event in addition to a quicker on-site check in process the day of the event. On-site registration will be available and all participants, regardless of pre-registration status, must check-in at the Student Registration Desk prior to entering the fair. Participants are encouraged, but not required, to download the free Career Fair Plus app which contains the most up-to-date employer listing along with valuable event information, tips for preparation and event map. The app can be found in both the and . 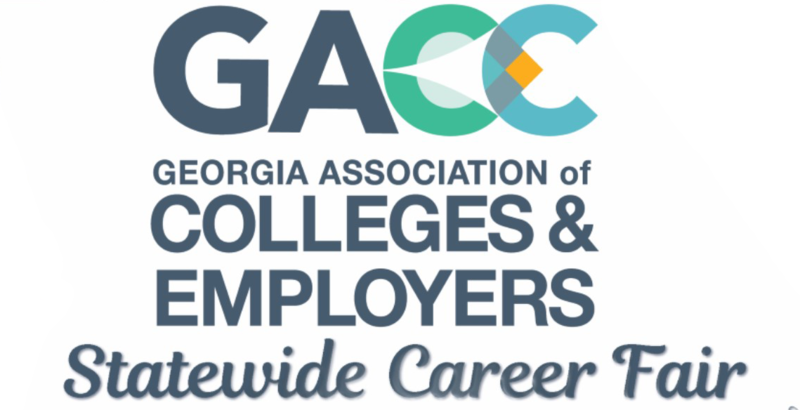 Once in the App, search for the "GACE Statewide Career Fair". View a list of participating companies here! Enter through the main rotunda and go up the escalator. There will be clear signage directing you to the GACE Statewide Career Fair. Parking at the Galleria is free for the first two hours. Job seekers who stay longer than 2 hours will be provided a parking voucher at the event evaluation table. A conservative business suit is your best bet. Remember, you only have one chance to make a good impression! If you do not have access to professional attire, you may borrow items from the GACE Clothing Closet. We have a limited number of sizes and items for men and women. Available on a first come, first served basis. Not sure how to navigate the career fair? Looking for networking tips? Nervous about approaching an employer booth? Stop by the Great First Impressions Booth to speak with a career professional from one of our 40 member schools. We are happy to assist you with the Statewide Career Fair process. The Career Assistance Booth will open at 10:00 am and will remain open until 3:00 pm. Interact with employers, get the latest information and useful tips on Twitter and Facebook! Post about your experience using #GACECareerFair. Photo ID and on–site registration are required for entry into the event. Upon registration, all participants will receive an event name badge, which must be worn at all times. If a name badge is lost or damaged, you must return to the registration table to secure a replacement. Only those seeking employment or career-related information will be allowed into the event. Other visitors must remain outside the event. Faculty and staff members of participating institutions who wish to enter the event must register to receive their event name badges. Please respect the time of all Career Fair participants (employers, job seekers and staff). For safety reasons, the doorways to the event (inside and out) and the surrounding areas must be kept clear at all times. Participants are expected to cooperate with all reasonable requests made by members of the Statewide Career Fair staff and all reasonable requests of any person acting in an official capacity as a representative of the participating institutions. If questions or concerns arise during the event, please contact someone at the Statewide Career Fair registration desk. Contact your school's career services office!